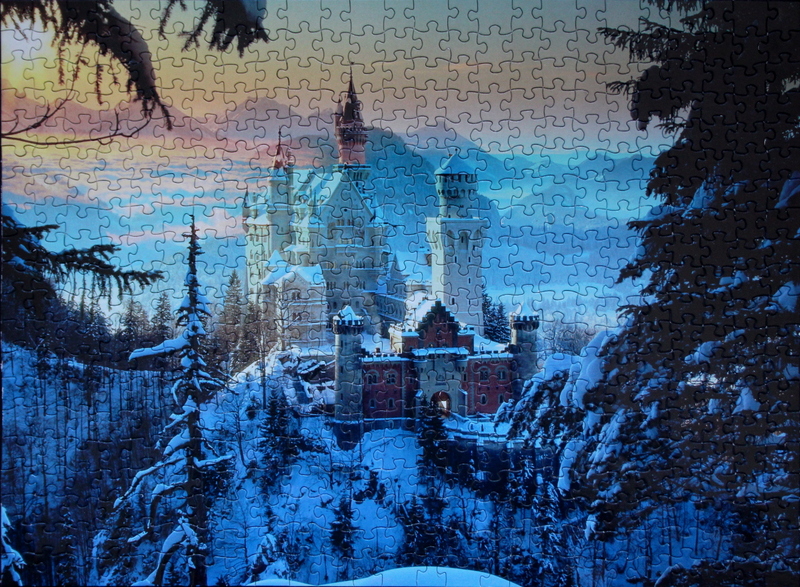 Puzzle: Another beautiful rendition of Neuschwanstein Castle, this one has a magical feel to it, with the sky in sunset colours and grounds sleeping under the snow. The easiest place to start is the sky with its many gradients and islands of colour. The castle can come next. The trees and the grounds are a bit more tricky, since there are only shades of blue and black, yet as the puzzle is not big, the challenge is not great. This puzzle came as part of a package of five 500-piece puzzles.